Jesus is Jewish. The most tragic mistake the church ever made was to forget that Jesus is Jewish. I use the present tense purposefully; Jesus is just as Jewish today as he was when he walked the hills of Galilee. He did not quit being Jewish when he rose from the dead or when he ascended to the right hand of throne of glory. A lot of theologians are ready to admit that Jesus was Jewish, but they will say that his Jewish identity is no longer important. It would make no difference, in their opinion, if he had been born into any other ethnicity because his ethnicity is neutralized by his divinity. But if that was the case, what was the point of resurrecting the physical body of Jesus: the same Jewish flesh and bone? When Paul describes Jesus, he says that the Messiah is “descended from David according to the flesh and was declared to be the Son of God in power according to the Spirit of holiness by his resurrection from the dead” (Romans 1:3-4). Notice there are two important aspects of Jesus that Paul wants us to keep in view. On the one hand, he is physically a Jewish man from the line of David, and on the other hand, he is spiritually the Son of God. One identity does not cancel out the other. While most of his followers readily affirm that he is the “Son of God,” they ignore the other half of Paul’s declaration. From Paul’s perspective, the resurrected Jesus is as much a Jew as was the miracle-working rabbi of the Gospels. Every day, millions of Christians pray to the God of Israel through their mediator, the King and Messiah of the Jews. Yet they, for the most part, are unaware of that Jewish identity. Jesus’ Jewishness is absolutely foundational for many reasons. First, it opens up the New Testament, which is a closed book outside of the context of first-century Judaism. 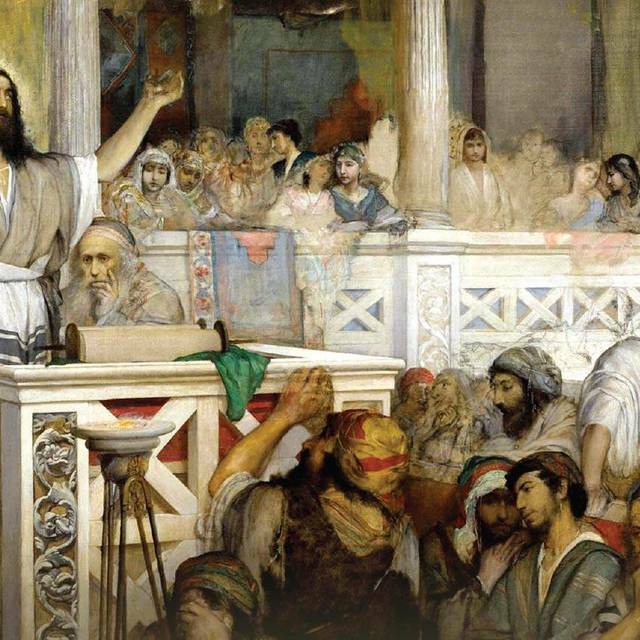 Interpreters have offered thousands of different interpretations of New Testament texts; without the understanding that Jesus and his followers practiced Judaism, all these interpretations appear to have merit. The world of biblical interpretation is therefore in a state of perpetual confusion and conflict. The parables of Jesus provide a perfect example. What was the purpose of the parables? Why did Jesus speak in parables? Many believe that Jesus was cloaking secret, esoteric truths in seemingly simple stories, hiding his true message so that only his disciples would understand. This idea gives interpreters the perceived freedom to riddle out the so-called deeper meaning behind Jesus’ parables. However, that’s not how parables function in Judaism. The rabbis used parables as illustrations to simplify and better communicate difficult concepts, not to obscure their teachings. The parables of Jesus can be compared with hundreds of similar parables used by the rabbis to teach their disciples. Once you realize that Jesus taught as a Jewish teacher, you begin looking for the plain meaning of Jesus’ message rather than seeking for hidden truths that would not have been readily apparent to his Jewish audience. In this way, you immediately begin to better understand the teaching of the Master. The understanding of Jesus’ Jewishness brings new life to all of his teachings and actions. And while one can derive some level of understanding from Jesus’ plain teachings—consider for example the impact of the Sermon on the Mount for Christian ethics—there is so much more to be apprehended, so much more that lies beyond the pale of traditional New Testament interpretation. The church needs to recognize Jesus as a Jew. This single hurdle, if crossed, opens a world of possibilities. Consider a few of them with me. If Jesus was (and is) Jewish, then he practiced Judaism. He did not come to start “Christianity,” he came to fulfill the prophecies of redemption that had been uttered by the Jewish prophets before him. Many Christians who have come to realize this have developed a new respect for the entire corpus of Jewish literature. Those who begin to study the New Testament in light of Jewish sources say it’s like reading the Bible for the first time. If Jesus was (and is) Jewish, then that changes the way we understand his conflict with the Jewish religious authorities of his day. It means that all his arguments with the Pharisees were intra-Jewish disputes. Rather than two different religions arguing with one another, the New Testament presents members of the same religion arguing within the religion. In the context of that argument, certain foundational ideas—the relevance of the Torah, the authority of the traditions of the elders, the framework of halachic formulation and debate, the election of the Jewish people—were taken for granted. This knowledge sheds great light on Jesus’ interaction with other Jews and changes the tone of discourse between Judaism and Christianity even today. If Jesus was (and is) Jewish, then puzzling passages such as Matthew 5:17-20 and 23:2-3 make sense. In the first passage Jesus soundly endorses the Torah of Moses and warns his disciples not to even imagine that he has come to cancel the smallest commandment in the entire Law. In the second passage, he instructs his disciples to keep, not only the commandments of the Torah, but also the rulings and traditions imposed on them by the Jewish legal authorities. If Jesus was (and is) Jewish, it means that he faithfully kept the covenant that God made with the Jewish people on Mount Sinai. To do otherwise would be a sin for a Jewish person as defined by God’s law, and it should go without saying that our Master was without sin. That means he wore tefillin and tzitzit as commanded in the Law; he observed the Sabbath; he kept kosher. Knowing this causes one to reassess the importance of the Torah, its continuing relevance, and its binding authority. On the other hand, without the context of Jesus’ Jewishness, the Torah remains a far-off and seemingly irrelevant concept to most Christians. 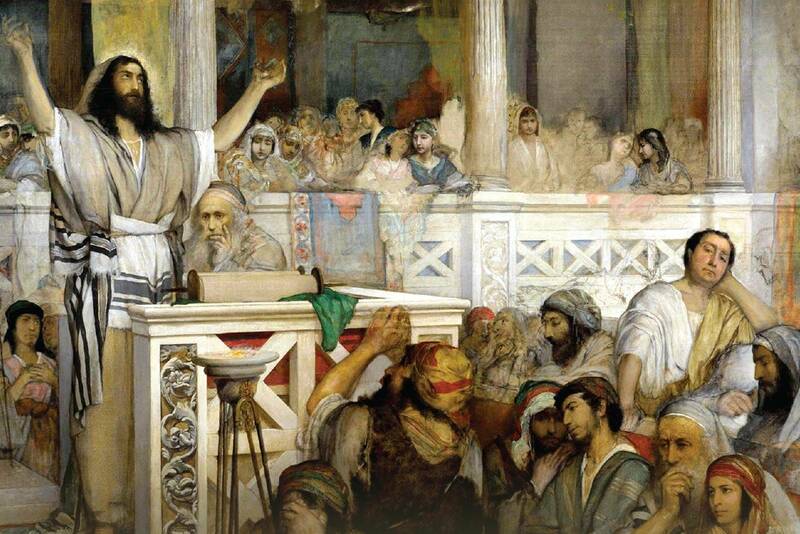 If Jesus was (and is) Jewish, his teaching must be located on the map of greater Judaism. His prophetic rebuke to his generation should be seen in continuity with that of the earlier prophets. His core message, his “gospel,” should not be seen as a call for Jews to abandon Judaism, but rather, it must be recognized as a call to covenant fidelity, a rallying cry to the Torah and its teachings. These concepts all find their roots in Jesus’ Jewishness. This, combined with the centrality of Jesus in Christian thought and theology, makes understanding the Jewishness of Jesus a vital first step for any Christian who wants to have any hope of moving forward toward a Messianic understanding of the Scriptures and of their own responsibilities and obligations to God. All this has been discussed in detail in First Fruits of Zion’s Torah Club title Chronicles of the Messiah, as well as in dozens of other popular and scholarly books. Nevertheless, an incredible amount of work remains to be done to correct this tragic mistake. Jesus is still presented as an enemy to Judaism and Jewish identity. Most churchgoers still have no idea that they are called to be disciples of a Jewish rabbi. The potential to come alongside these brothers and sisters and seriously reorient their understanding of Jesus’ life and teachings is nearly limitless. “The harvest is plentiful, but the laborers are few” (Matthew 9:37). Adapted from: Messiah Magazine 22, 2018, written by Boaz Michael.